On to Kentucky to claim it on my state map. I drove through Nashville and on up to Cave City which is only 5 miles from Mammoth Cave National Park. I waited too long to book into the C2C rv park but happily found Singing Hills RV Park in the midst of bunches of tourist attractions. It is a Passport America park thus very inexpensive and the owners are wonderful and helpful. They understand that some of their sites are too short and happily let me park my large SUV in the small site next to mine. 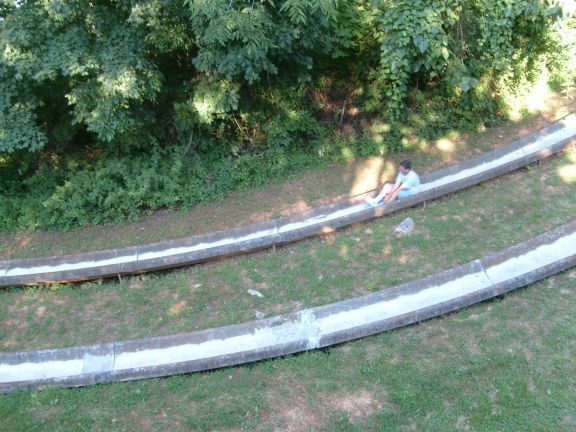 It is a very basic park with no pool or anything but none of that matters considering everything surrounding it. The wifi worked great. I would definitely stay here again when in the area. 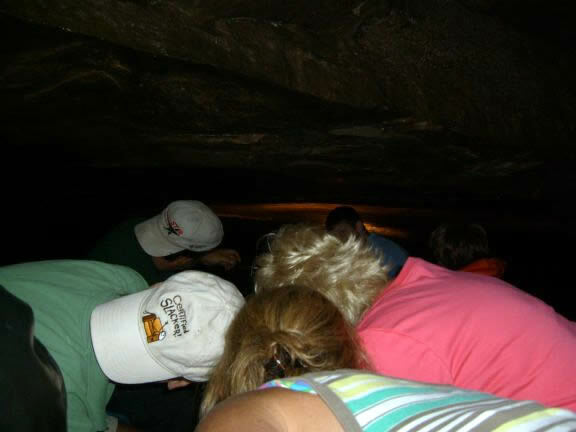 I first drove back south to Bowling Green to see Lost River Cave by boat tour. I very much enjoyed the boat and ducking to slide the boat under the entrance. 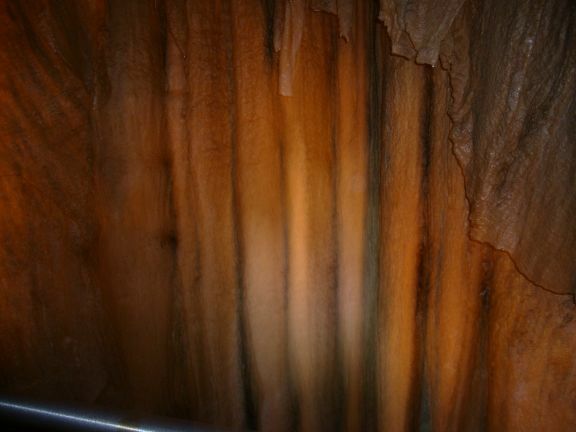 It was sooooo cool in the cave on a very hot day. Morgan’s Raiders used the cave to hide out during the Civil War and Jesse James may have also used it to hide out after a bank robbery. 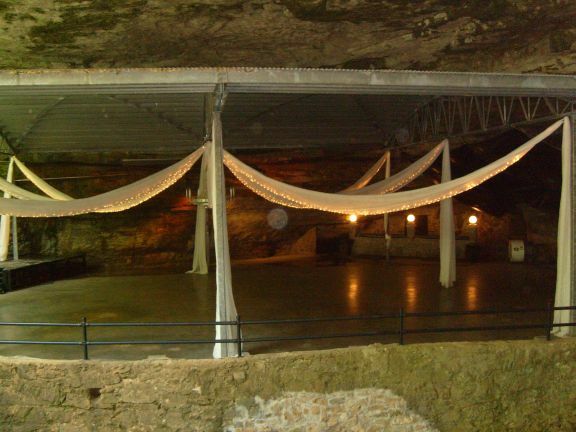 Locals have always used it to stay cool and party in it’s ballroom at the entrance. 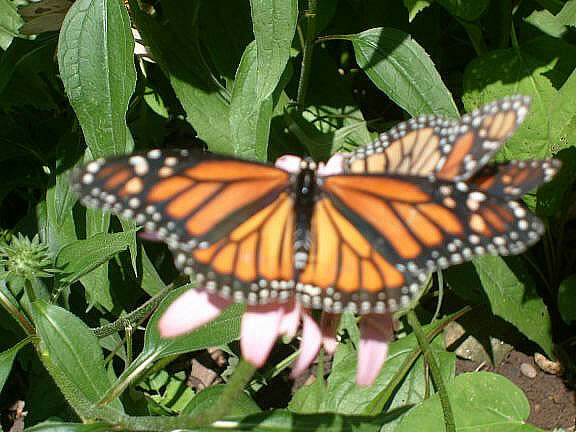 A walk along the paths outside past the blue holes and butterfly house is interesting. They even have some geocaches there and are kind enough to provide both information on geocaching and a Magellan Explorist 200 handheld gps device already programmed for the caches. It was my first chance at using a handheld since I use my car gps device for hunting normally. Maybe it’s a matter of familiarity but I still prefer my Garmin C330 car gps. I found 3 including a travel ingot/bug, a change purse, and a winner’s medal. I ate at White Castle before heading back just to see what the big deal is with their hamburgers. The look of the bun and the small size did not appeal to me (Size matters, at least when it comes to hamburgers!) but the burger did taste very good. I still would not spend a whole night going through everything Harold and Kumar did to get one. Get a life! 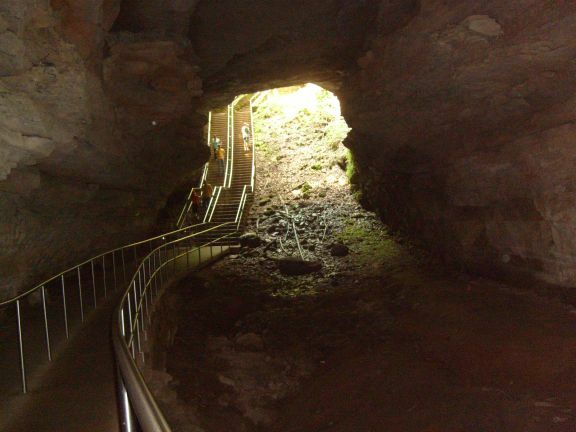 Later in the week I went to Mammoth Cave National Park. 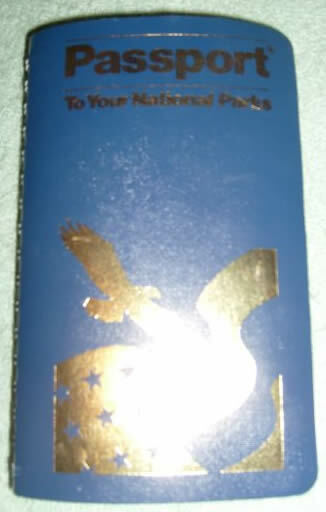 Naturally, I got my park passport stamped. Good thing I am leaving this region since my passport is full for it. 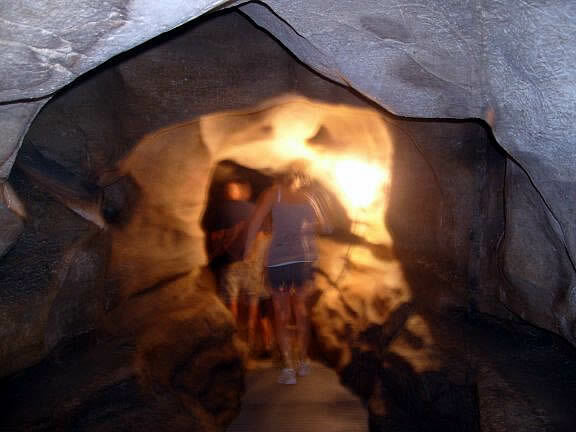 The park is so busy that I highly recommend getting tickets for cave tours over the internet in advance so you can get on a tour when you want. There are many tours to choose from for all different levels. I chose the shorter tours. I would love to have done the lantern and historic tours but 2 miles and more each was just too much for me. I did the Self-Discovery tour first which was very easy due to the wide paved paths. For the New Entrance tour, I had to hop their bus to the entrance. We descended down a series of scaffolds 260 feet. It was awesome! There were fewer stairs going up and not that bad since they were not all at once. We had 3 stops along the way through the cave for rest and ranger questions. We only saw a small amount of the cave when you consider it is over 367 miles long (explored that is, possibly 600 miles long), the longest cave in the world. On one of the tours you can see the remains of huts built for tuberculosis patients for a health experiment a doctor tried a long time ago and you can see candle writing on the ceiling where people including civil war soldiers signed their names and date. It was definitely worth the visit. Be advised they want to know exactly what is going in the cave to protect it so you may not bring in bags of any kind including backpacks, purses, or even camera bags. I also geocached in the area. I found a virtual cache in the park which was the grave of Floyd Collins, famous cave explorer who died nearby in Sand Cave. I also found a nice fat ammo can along the road with great stuff. I traded out a shark’s tooth, a geocaching postcard from Wisconsin, dropped my travel ingot in, and took a new travel bug out to take back west for fun. 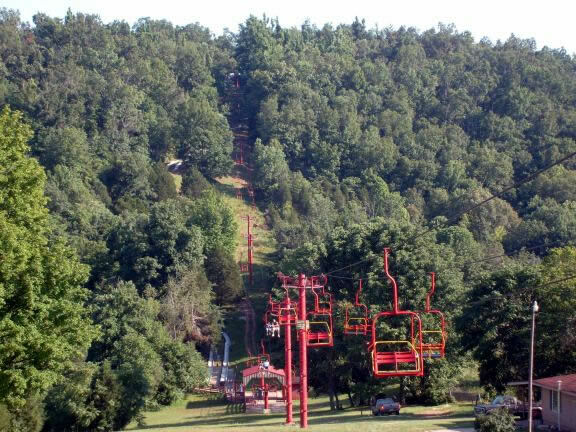 On the way home, I stopped at the Alpine Slide for a nice ski lift ride up the mountain and a slide down as I had done in South Dakota. It’s fast and fun. You control the speed. 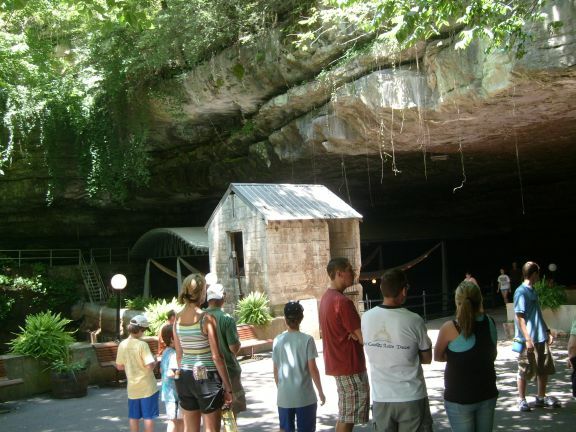 Other things to do here are Dinosaur World, horseback riding, GunMountain theme park with can-can dancers and gunfights, other caves, Kentucky Down Under australian theme park, Abraham Lincoln’s birthplace, Beech Bend amusement park, and more. 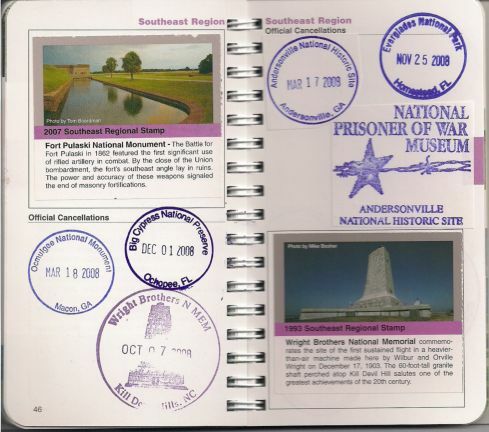 Fort Knox is north about 50-60 miles. Kentucky Downs is around 50 miles down by the Kentucky-Tennessse border at exit 2 off the I65.